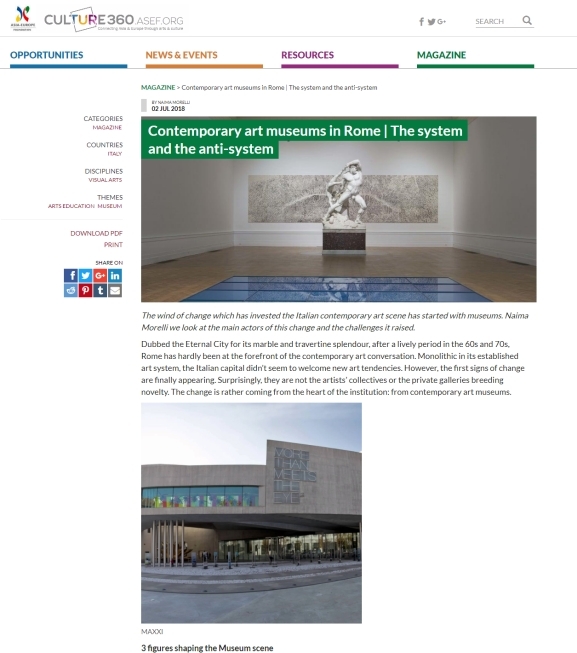 I have just been back from Japan a couple of days ago, and it has been great to find my essay on the state of contemporary art museums in Rome published on Culture360, the webmagazine of the Asia-Europe foundation. The piece stems from my conversations with Hou Hanru and Giorgio de Finis, and takes into consideration the example of the ex-GNAM, La Galleria Nazionale directed by Cristiana Collu. While in the piece I take a bit of a critical tone, I hope that you can read through the lines my positive feeling for a scene in transformation.